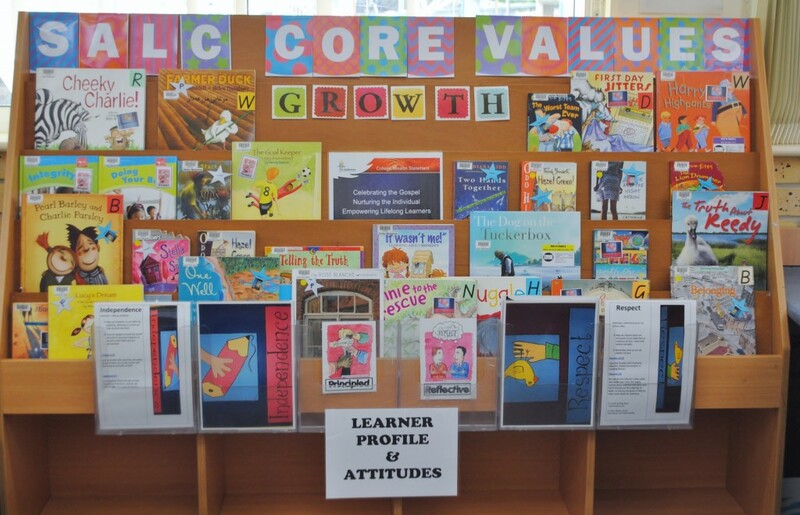 By looking holistically and trying to make connections from the St Andrews Lutheran College Core Values to the teaching of the PYP through the Learner Profile and Attitudes, the following blog posts link to curated resources and teaching materials. The aim is to support the teaching of the values through picture books, key non-fiction resources and some weblinks. The screenshot below is from an attempt to table the PYP Learner Profile and Attitudes with the SALC Core Values. It is noticeable that some LP and Attitudes can be applied to more that one core value. Omission is not an indicator of the worth or application to the specific context. 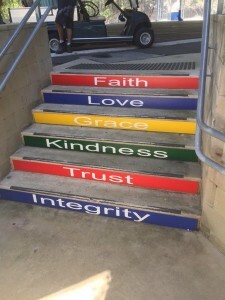 Photo of the stairs in the Senior School – the visible culture.